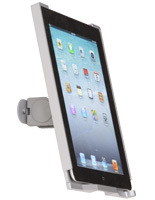 These Wall Mount IPad Holders Have A Stylish Silver Finish! 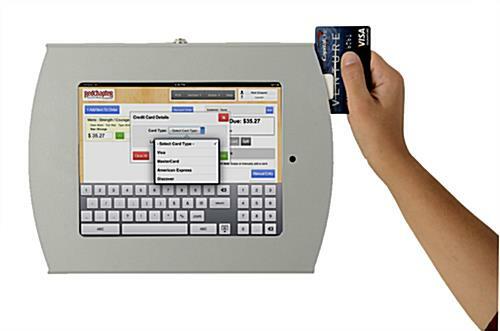 Each of these Apple Mounts comes with a bracket For Square Credit Card Reader Use! 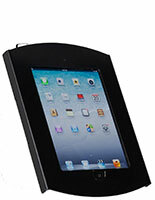 Order Wall Mount IPad Holders Online From Our Many In Stock Models! Locking steel tablet enclosure secures 2nd, 3rd & 4th gen Apple devices but allows rotation, tilt and charging. 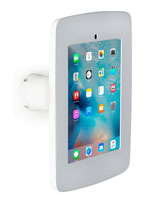 Eye-catching silver finish case eliminates Home button access but allows charging while in use. 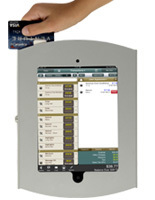 Eye-level installation increases visibility for information kiosks and POP customer stations. 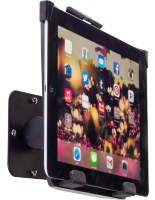 These wall mount iPad holders are designed for displaying Apple handheld tablets in retail and commercial environments including specialty stores, restaurants, hotels, coffee shops, lobbies and more. 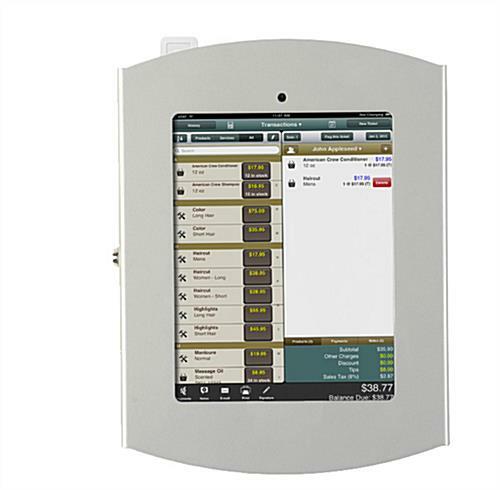 Each of these POS kiosks features a steel case with a silver finish and the bracket comes with all required mounting hardware. 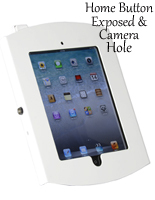 These interactive device cases, eye-catching wall mount iPad holders are secure stands that feature with push-locks, external charging ports as well as restricted "Home" button access. 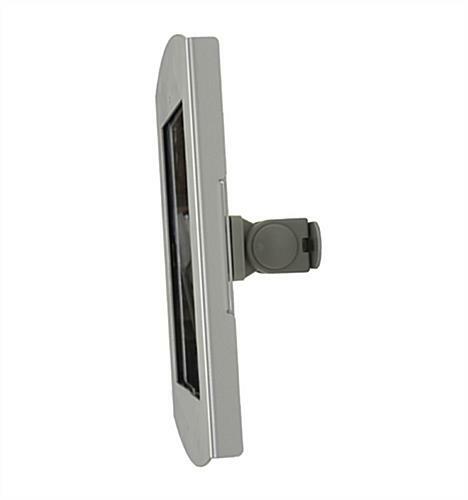 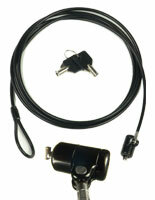 Each of these mounts has a bracket for use with square credit card readers, camera holes for webcam use and can rotate and tilt the device as needed for visibility. These commercial wall mount iPad holders, also known as user friendly tablet kiosks, make is easy for businesses to present customers with wayfinding information and directories as well as sales and marketing presentations, apps and programming.